Congratulations! 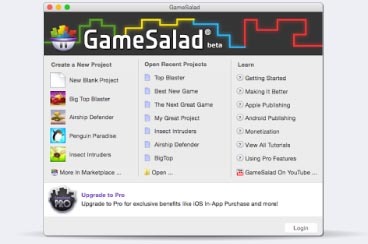 You’re about to start making games with GameSalad Creator — the easiest way to learn game making. We’re excited to see what you come up with. If your download didn’t start, click hereclick here. Open up the .dmg file. Open GameSalad and get started! Open up the .exe file. Click through the install process. Log in to receive pro tips to help you create and publish your games. 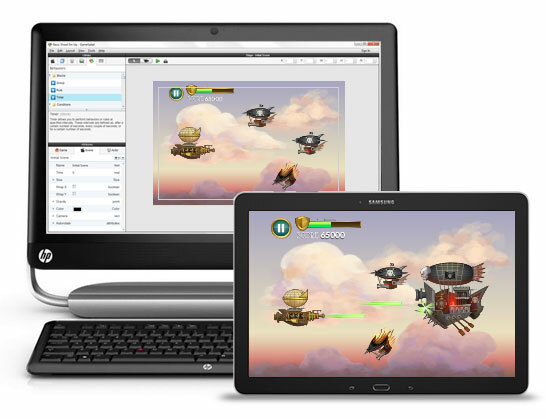 At the GameSalad Academy, learn how to build your first game with step-by-step instructions. Then head over to the Cookbook and we’ll explain all the elements you have at your disposal to build the game of your dreams. If you want an exact explanation of everything Gamesalad Creator does and how to build your own game using it, check out the Manual.